In 1999, the Far East Russia Orca Project (FEROP) took on a leading role in long-term whale research in Russia with researchers gathering data in Kamchatka (1999-2016+) and the Commander Islands (2007-2016+). Teams of 10-20 Russian researchers have pursued a wide variety of studies on killer whales, humpback whales, Baird’s beaked whales and North Pacific right whales, including photo-ID, transect and sighting surveys, acoustic surveys, leading to greater protection efforts. Creating knowledge base for exploited whale species, gaining recognition of key habitat The whale populations in the Russian Far East have only recently been studied yet quotas are issued every year for killer whale captures, while Baird’s beaked whales are being exploited by Japanese whalers. North Pacific right whales were reduced to fewer than 500 individuals due to the long history of whaling. Information on status and habitat needs for whales is needed. Whale, marine mammal and seabird populations in the Russian Far East; Russian researchers who work with these species. 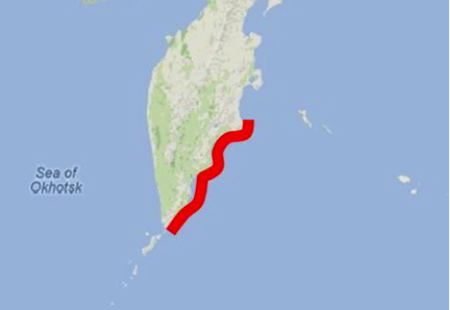 The managers of coastal reserves, as well as local people in Kamchatka, who are now more aware of the whale populations. In a step by step process, we built the case for protection, one building block at a time, over a period of several years. Having the ready international platform of the CBD EBSAs was a bonus. Once we gained entrance to the CBD EBSA meeting we knew there was a chance that we could build the case for protection to the scientists. Through a combination of local presentations and media, international papers and conference venues, as well as the CBD EBSA meeting, we have built a following for current and future marine wildlife conservation work in this area of the North Atlantic. 1) local people were made aware of whales and the issues about their protection, 2) international scientific recognition as an ecologically or biologically significant area (EBSA) under CBD was approved by Moscow and will help safeguard the whales against exploitation. To establish the current status of habitat needs, the Far East Russia Orca Project (FEROP), sponsored by Whale and Dolphin Conservation (WDC) and other groups, has pursued a wide variety of studies on killer whales, humpback whales, Baird’s beaked whales and North Pacific right whales, including photo-ID, transect and sighting surveys, acoustic surveys, linking behavioural data to GPS locations, and collecting prey including salmon scale samples. Individual profiles and tracking over multiple seasons has been possible. 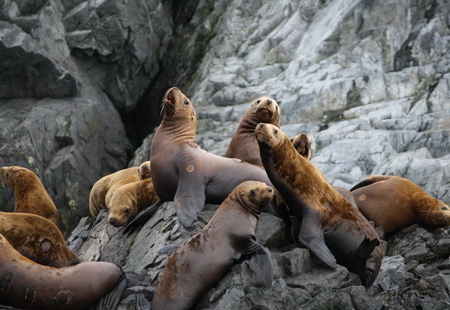 These data, along with seabird and pinniped data from other researchers, enabled the preparation of a case study submitted by FEROP to the Convention on Biological Diversity (CBD) EBSA workshop held in Moscow, March 2013. FEROP scientist Mikhail Nagaylik prepared and presented the case study. It was accepted and subsequently approved as an EBSA by the Russian Ministry of Natural Resources, and in the EBSA meeting of the parties. Further research is now being carried on in the region to delineate habitat zones important to these various species and their prey to be proposed as candidate IMMAs and for extension of the Commander Islands State Biosphere Reserve. Following the intensive whaling era, including the illegal Soviet whaling which has only been revealed since 1995, little was known about the present status of whale populations in the Russian Far East waters. Comprehensive long-term studies were needed, including training of Russian researchers, obtaining permits and other permissions for research and raising funds. The goal of recognition and protection for whale habitat in this remote area, suspected of having important habitat, seemed very far away. It should be noted that although protection for whales and whale habitat was the goal, they also served as a vehicle for gaining recognition leading to protection of the marine environment in this highly productive region. International recognition, through CBD and from outside scientists and the conservation community, is also vital to creating the climate for protection within Russia.